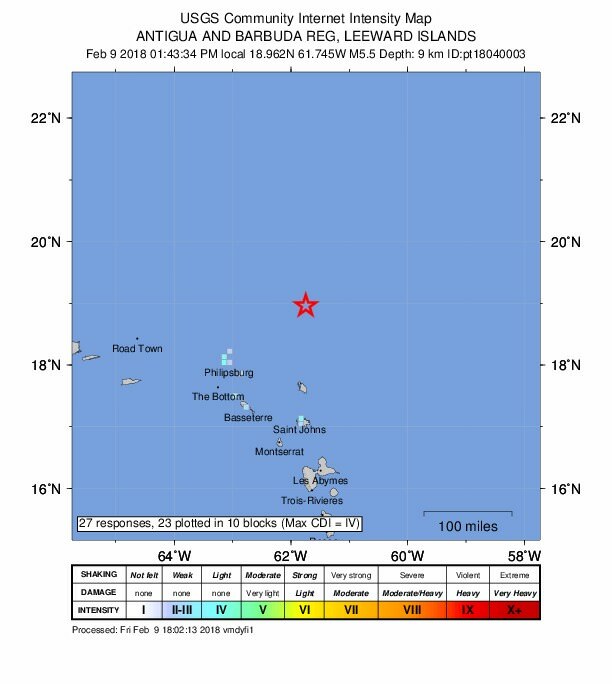 A 5.5 quake occured just north of Barbuda in the Leeward Islands but there was no Tsunami. Volcano in Trinidad turns active. Two Eruptions of the Devil's Woodyard Mud Volcano occurred on Tuesday 13th February 2018 at 4:20AM and 8:50AM. 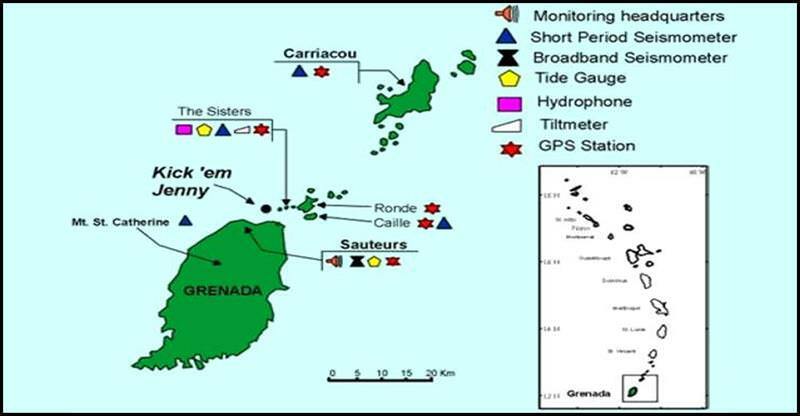 A submarine volcano near Grenada shows signs of activity and the alerts are being raised. A 5.0 quake occured near the Island of Guadeloupe but without no Tsunami nor damage. Yes, Trinidad and Tobago was badly affected. The magnitude in T&T was 6.8, the strongest in decades. Buildings and cars sustained significant damage, cracks appeared in walls and certain areas, supermarkets lost many goods, and some people had no power for a while. The quake also lasted for a long time and many were traumatised. 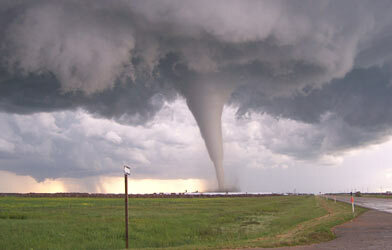 The country was even placed under a tsunami warning for a while, though it was eventually cancelled. Truly an experience never to forget. Strong quake 6.3 have been felt Friday 28 th of September just 74 NE of Trinité Martinica. I've personnally feel it while i was in Guadeloupe. A brief but intense shake on while i was on my chair. Hopefully no damages in Guadeloupe, but looks like cars were dancing in many reports in Martinica. A 4.1 quake just north of USVI but no Tsunami. A 5.9 quake occured in Haiti. Yup, I felt this one. It was very small, almost as if a heavy vehicle were passing nearby. 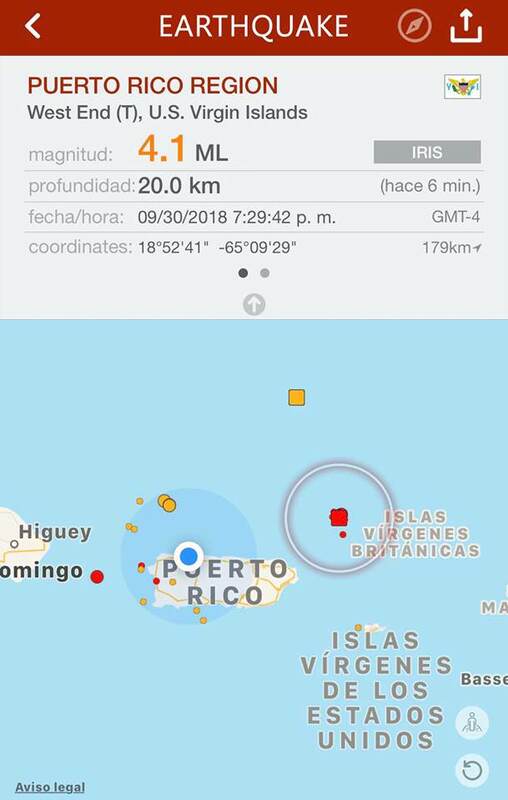 A 4.8 quake occured just south of Puerto Rico but there is no alert og Tsunami. I felt it. 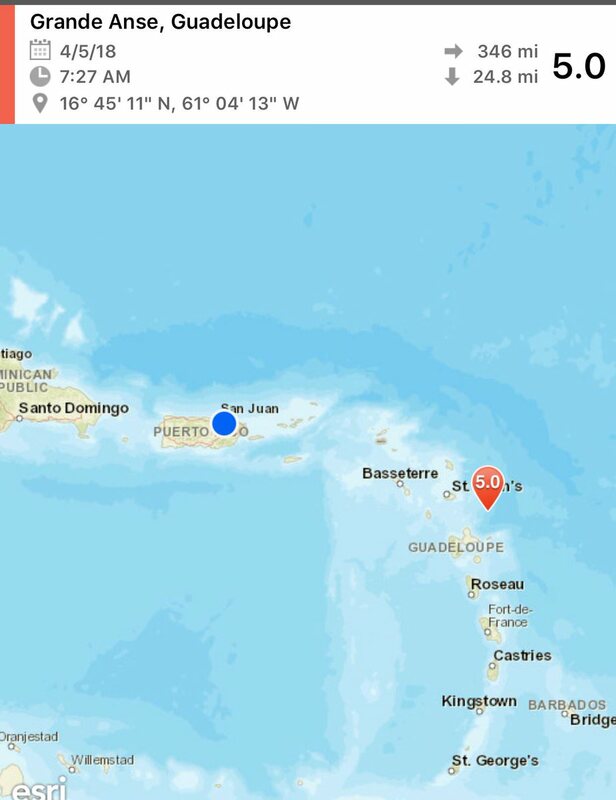 A 4.4 quake occured in Dominican Republic.